"It's been Liverpool TV for the past month!" Between now and Sunday, April 28, Manchester United have four games that could yet define their season. Gary Neville is convinced they have to play it smart with their squad. Ole Gunnar Solskjaer's initial bump has plateaued but the winning streak he was responsible for has got United through to the Champions League quarter finals and in with a good shout of a top four finish in the Premier League. Moving beyond Europe, they are three gigga-normous matches for United if they want to finish high up the league standings. Tottenham, in third, are still within reach. Should Barcelona drive home their first leg advantage, it is the league route for United if they want to be dicing with the best in 2019/20. To that end, former United captain Gary Neville has identified the Everton and Chelsea games as two United must field their strongest teams for. 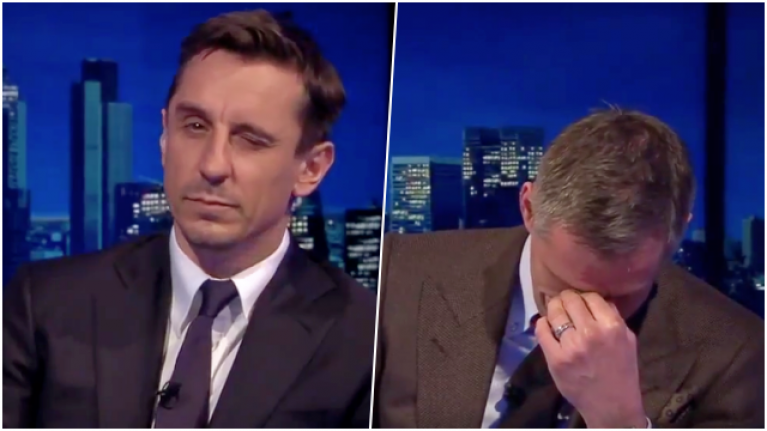 Neville made the point on Sky Sports' Monday Night Football and it drew an incredulous response from former Liverpool star Jamie Carragher. "If Man United were to win on Sunday," Gary Neville began, before pausing. "If they beat City but lose to Chelsea, they still end up out of the top four. "If they lose to City and beat Chelsea, then they're in the top four. Carragher's got his head in his hands here but my point is, in terms of priorities, if they were to win against Everton on Sunday, the game to sort of change players around a little bit would be the City game. "Now, that's saying you're going into the City game thinking, 'United can lose'. They have to win the game, but four games in 10 [actually 12] days, you can't play the same 11 players. My view would be that if they beat Everton on Sunday, that you'd make two or three changes against City while still trying to win the game." City are currently two points behind Liverpool, Carragher's old club, in the Premier League title race but their game-in-hand is that away trip to face United at Old Trafford. Carragher had an opinion on Neville's proposal. "Everton rested their two best players against City," Carragher began. "Gary's now out there sending a little message to Ole; he knows he's watching. A little message out there to Ole." "Everyone is just desperate to stop Liverpool winning the league," claimed Carragher. "Everyone." "Man United, Everton, Sky Sports, you're all at it! Don't worry, it'll sort itself out." 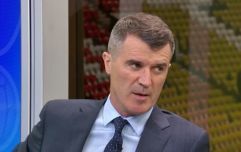 When Carragher pointed a finger at Neville, playfully suggesting he was setting an anti-Liverpool agenda, the United legend responded, "It's been Liverpool TV for the last month." Big games, and big calls, ahead.